This week’s Blues Session at the Hope Tavern presents the uncompromising blues band Egypt, with some raw rock blues to blow the froth off your beer. 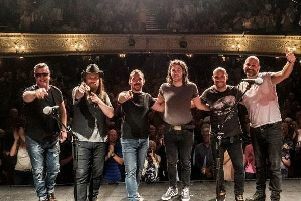 They continue to tour both the UK and Europe, particularly Spain where they enjoy a massive following as they have for the last twenty plus years. This trio merged back in 1989 when they joined Tony McPhee as part of the legendary progressive blues outfit The Groundhogs, forming various versions of the ‘Hogs for the next ten years or so and featuring in several albums and touring throughout UK and Europe over many years. The show at The Hope starts at 4pm this Sunday, June 4; door charge is £8.